Please feel free to use any or all of the resources below and alter the text as much as you wish to suit your own requirements. If there is anything I can do to help you with your promotions, please let me know and I will do my best to help. Are You Tired Of Selling Other People's Products and Making Little Money? Are Your Online Profits In Need Of Some Emergency Surgery? Do You Think You Could NEVER Write Your Own Profitable Info-Product In A Million Years? Get Some Emergency Surgery TODAY! Find Out How a Desperate Housewife Performed Emergency Surgery on Herself Without Anaesthetic! Copy and paste this code between the <head> </head> on your web page to have the Operation eBook sales page load when people leave your site. Your affiliate link is built in already. Copy and paste this code between the <head> </head> on your web page to have the Operation eBook sales page load under your site. When people close your site, this site will be already loaded for them to view. Your affiliate link is built in already. Download this special PDF report and brand it with your own Clickbank ID (full instructions inside zip file) - Give it away to your subcribers, or sell it on eBay. 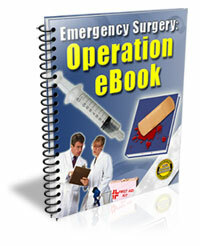 Every time someone clicks on the Operation eBook links inside and makes a purchase, you get 50% commission. What could be simpler! Bonus: There are also two $7 script items inside, which you can brand with your own PayPal email address - every time someone clicks and purchases, you get $7 directly to your PayPal account.